Step 1. 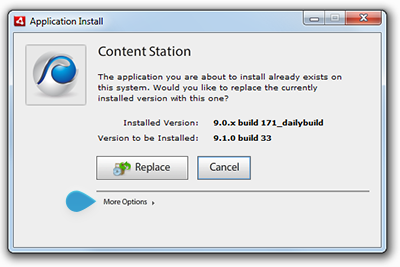 Double-click the Content Station installer. 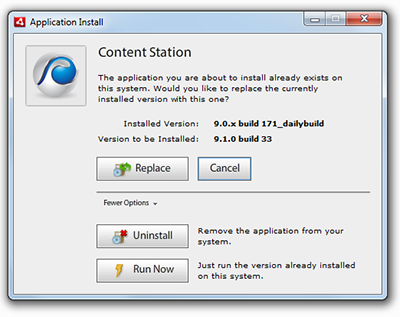 The Opening screen appears informing you that Content Station is already installed and that you have the option to either run the application or uninstall it. 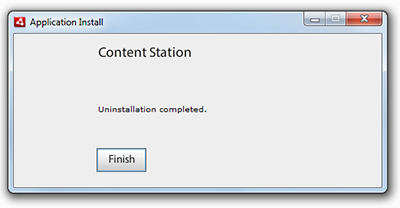 Content Station will be removed from the system and once complete, a confirmation message appears. The Opening screen appears informing you that Content Station is already installed and whether you would like to replace it. Step 2. Click More Options. Figure: Click More Options to display the Uninstall button. 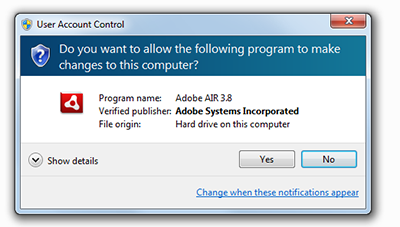 The User Account Control appears asking to confirm the action.